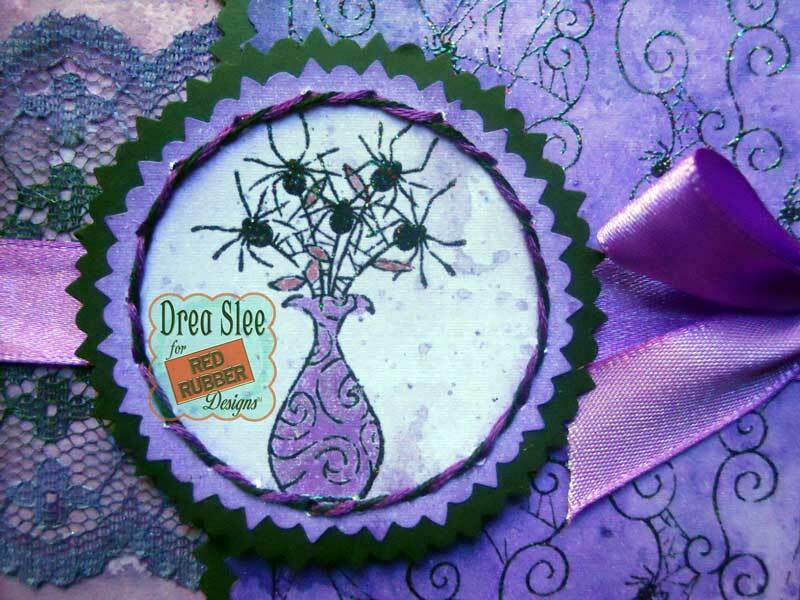 As much as I hate spiders, this is as close to them I'll get with this card featuring the Spiders Are Seen Cling Mounted Rubber Stamps from Red Rubber Designs. 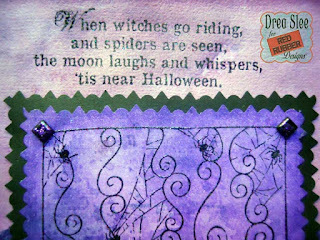 Perfect for Halloween, which I love! Lol! 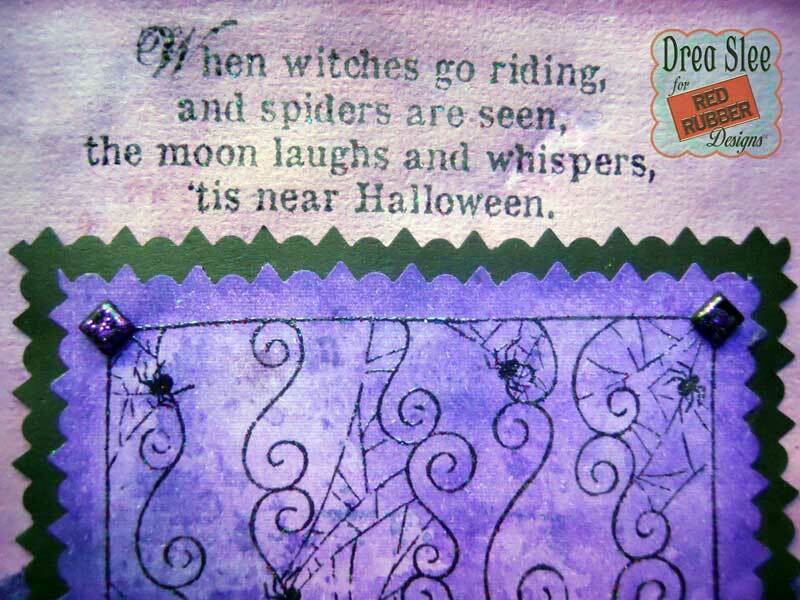 All of the background papers were colored with Distress Inks, and all of the stamping embossed with some glitter. 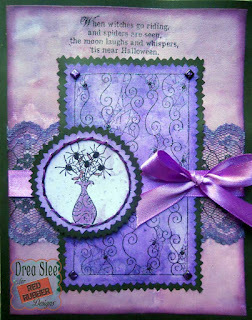 For more sparkle, I applied Purple Stickles onto the black, square brads that I used in the corners. Don't you just love this sentiment? 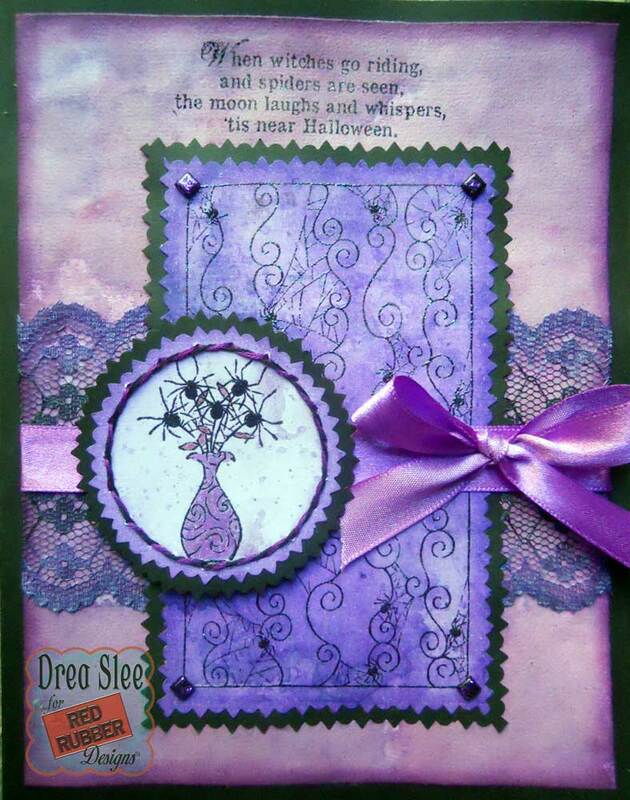 The lace was colored with some sprays and Distress Inks in black and purple. 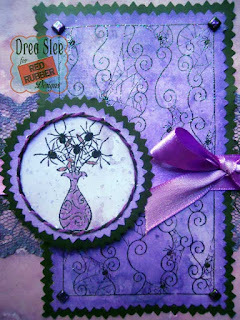 Then I used a strip of purple ribbon to divide the spider background, which I stamped twice to make it look longer than the original square stamp. 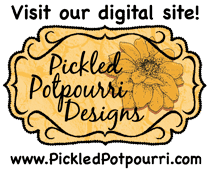 The vase of spiders (Eeew!!) was colored with a purple spray, and has some sparkle with a Wink Of Stella on the swirly parts of the vase. Then I hand-stitched a circle around it, and popped it up with Pop Dots. 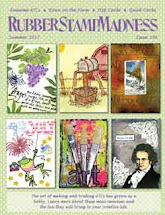 The vase of spiders is also available with the Be Scary Cling Mounted Rubber Stamps, along with a couple of other great Halloween images. There's also a fabulous selection of Autumn and Halloween Stamps from Red Rubber Designs!